Nearly 30 million Americans who struggle with hearing loss could benefit from wearing hearing aids. And, yet, only about 20 percent of Americans who can benefit from hearing aids actually wear them. Are you interested in getting hearing aids? There are tons of different brands and styles of hearing aids on the market, but the Audicus hearing aid is one of the best. Read on for a full review of the Audicus hearing aid. With this information in mind, it’ll be easy for you to decide whether or not it’s the right hearing aid for you. Audicus offers two different hearing aid products: The Dia II and the Oro (previously known as the Alto). The Dia II is a behind-the-ear hearing aid. Behind-the-ear hearing aids are typically best for people with mild-to-moderate hearing loss. The Oro is a receiver-in-the-canal hearing aid. These hearing aids are generally best for people who have more severe forms of hearing loss. Both the Dia II and the Oro hearing aids come with a special, sound-boosting feature. This feature suppresses background noise and makes hearing in crowded or noisy environments easier. Both types of hearing aids are comfortable and discreet. Users can also customize their listening preferences using Audicus’ Tuner app. Audicus offers lifetime tune-ups for all customers, free of charge. Audicus hearing aids are considerably cheaper than many of the products offered by other hearing aid brands. The Dia II costs $599 per ear, and the Oro costs $799 per ear. For comparison purposes, keep in mind that many other hearing aids cost between $1,600 to $2,000 per ear. Audicus keeps their prices low by working directly with hearing aid manufacturers and then delivering their products directly to customers. They cut out the middle man, so there’s no price markup. Customers are able to take a hearing exam online to help them find the right hearing aid for their specific needs. They can also submit their own exam results after visiting the doctor and having their hearing tested. In addition to offering a great product at an affordable price, Audicus also offers excellent customer service. All Audicus hearing aids come with a 12-month warranty. The warranty covers all manufacturing defects, as long as the devices have not been modified or experienced physical damage at the hands of the customer. If the hearing aid is lost or damaged within six months of being purchased, it can be replaced at a discounted price. The warranty can also be renewed after the first year for $99 per year. Audicus also cares about their customer experience, and customer care representatives call regularly to make sure everything is working properly. The best way to determine whether or not you can trust a hearing a brand is to consider the company’s reputation. Audicus also has a great reputation among hearing aid providers. The company has an A+ rating with the Better Business Bureau. There are dozens of positive, five-star reviews available online and very few negative ones. Audicus products also have a loyal following and customers tend to stick around for a long time, upgrading their hearing aids to new devices as needed. Audicus also offers a helpful blog with lots of articles that can help customers get the most out of their hearing aids. From cleaning and maintenance advice to tips on saving money on healthcare costs, Audicus is a great resource for anyone who is struggling with hearing loss. As with any product, there are reasons to consider not using hearing aids from Audicus. The main problem that people seem to have with Audicus hearing aids doesn’t have to do with the hearing aids themselves. Rather, their problems have to do with the company’s direct-to-consumer model. At first glance, Audicus’ method of cutting out the middleman and selling directly to the consumer seems like a great idea. And, for most customers, it is. They love the lower prices and the convenience of ordering their hearing aids (and having their hearing tested) from the comfort of their own home. At the same time, though, this model can lead to some confusion for certain customers. When it comes to purchasing hearing aids, the “middleman” that Audicus is cutting out is typically a hearing healthcare provider. These are not insignificant tasks. 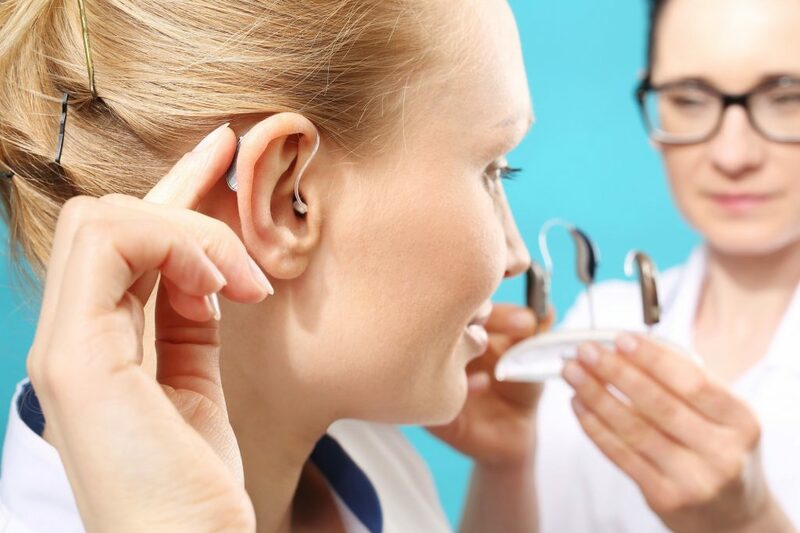 For people who are new to wearing hearing aids, it can be helpful to work with a hearing healthcare professional to ensure a proper fit and make sure their hearing aids are working properly. More experienced hearing aid wearers will likely be fine working with Audicus’ online hearing test and customer support. But, those who haven’t worn hearing aids may want to visit a doctor first. Need More Help Choosing the Right Hearing Aids? As you can see, the Audicus hearing aid is a great hearing aid for people who want to restore their hearing. If you choose to go with this particular brand, you’ll be sure to have a good experience. Do you want to learn more about the other hearing aids on the market? If so, check out the resources section of our website today to learn more about how to choose the right hearing aids for your needs.